They are so nice and helpful. Fixes anything and quick. They are wonderful people and so easy to work with I wouldn't go anywhere else. Their jewelry is exceptionally beautiful and a good choice of items. I recommend this place to everyone. I won't ever use another jewelry store. The customer service at Diamond Depot cannot be beat. They are all so genuinely friendly and care about their customers. Terry custom designed the ring of my dreams and I couldn't be more pleased with my experience! Just love you guys! Everyone is always so nice and helpful! My husband & I got our wedding rings from here, & then another wedding band after I lost my first at the beginning of the this year. We will never go anywhere else & I always recommend diamond depot whenever I here someone needs rings or jewelry! Absolutely love the great service we receive every time we go in there. Love the custom necklace my husband got me from there for Christmas! 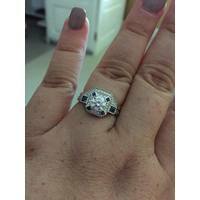 I Would like to recommend Diamond Depot for there excellent customer service. They went above and beyond my expectations and made my proposal the absolute best. My Fiancé and I are very please and encourage you to just go talk to the folks at Diamond Depo and I promise you wont be disappointed. Great experience top to bottom. Thanks so much for your help during this step in my life. Diamond Depot helped me out so much making sure I got the ring my fiancée wanted! I couldn't have asked for better treatment as a customer! I will always be indebted to Diamond Depot for helping me create the perfect ring! They were so helpful every visit and worked within my budget. I couldn’t have asked for a more helpful place to get my wife’s wedding ring! We have been using Diamond Depot for years. Everyone goes out of their way to make you happy and we always are. I have had jewelry made there, and repaired. Never disappointed! And we will not go anywhere else. Honest people and top notch service. They created my dream engagement ring for me and it is absolutely perfect. They are our only diamond store now, won't go anywhere else! For Hunter Kelley. Wonderful experience and could not be more please with the experience at Diamond Depot. We will be back. Have used diamond depot twice, once to make new jewelry pieces out of old ones, and once to repair old (inexpensive ),piece. They treated me and my requests like I was spending thousands. I will definitely use them again and recommend them to everyone I know. Wonderful people. Had some rings sized and repaired here. Excellent work and my fiancé purchased my ring from here, absolutely beautiful! Look forward to see you guys again! Wonderful people, excellent service, fantastic prices! Greatest experience! Awesome people to do business with! Highly recommend using this company for all your jewelry needs! This is a great jewelry store. My husband and I purchased a gorgeous pair of diamond hoop earrings today, along with a necklace and the elephant ring. Everyone was very helpful and friendly. I will definitely be back. The owners are wonderful people, and have done great work repairing items. My fiance bought my ring from here and it is absolutely breath taking. I will be buying his wedding band from here also. Thanks so much Diamond Depot! Great place, friendly staff that do not try to oversell. Will definitely return for any other jewelry needs. Extremely nice and helpful folks! Highly recommend shopping here! My husband and I love the service we got from Terry and his staff!!! I have sent many people to them. You always receive great quality and great prices!!!!! Great place to buy jewelry, great prices and always super friendly. Great people to deal with. Always a pleasant experience. Great store, excellent service, very friendly people. Will use rhem again. Great place to purchase jewelry, no pushy salesperson. Just honest people trying to help you find what you need!! We love our rings!! Amanda was super sweet and we look forward to being a recurring customer !!! Friendliest, nicest people EVER! It's a pleasure doing business with them. They take "customer satisfaction" to a new level. If you have not shopped there, you are missing out. Love this place! Absolutely gorgeous rings and an amazing staff!!!! Amazing!! Will be going back here for all of our jewelry needs!! Love their service and work. Always pleasant and helpful! The ring you guys repaired looks great and my wife loves it. 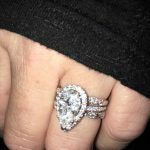 My fiancé Mark Riddley purchased the most breathtaking 2.10 carat pear shaped diamond ring and gave it to me on Thanksgiving weekend last year. Terry, Lisa, and Amanda are so amazing to work with. They are the utmost in professionalism, but also down to earth and as friendly as the day is long. I had a David Yurman bracelet that beeded to be fixed. Bromberg’s in Birmingham wanted to charge me over $200 but Terry fixed for less than half of that price. I also had a small diamond fall out of my setting…they replaced it for free. Mark my fiancé decided he wanted an engagement ring as well so they custom made a wedding band for him with my thumbprint on it. We will never shop anywhere else. They are full of integrity and truly honest people. Brought my wedding band in today lost a diamond out of it they replaced it for me at no charge. I will do all my business there from now on. Great people who take care of there customers. Great store , great people, always helpful, quality merchandise , for a great price! Got my hubby's wedding ring here after looking everywhere for one out of town ( bc I had very bad experience at local store Stinson and Howards, they lost our receipt and try to cheat us out of money). I wanted one that didn't look the same as the rest of the jewelry stores. Not only did I fine a wonderful one at Diamond depot but it was a great price & everyone there was super nice & helpful ! Also got a great price on my old gold I had. Will do all my business here for now on. The best kept secret in town. They have repaired pieces for me, even below their estimate, that other, older stores in town would not touch. I don't buy jewelry anymore - caregivers have stolen most of it anyway, but if I did, this is the ONLY place I'd go. The staff at Diamond depot are very nice and personal, no pushy sales people, they work with you to make sure you get exactly what you want. For great savings and customer service I highly recommend them! The only place we will use. I've been doing business with these folks for 3 years now and have always had nothing but the best service! They have designed pieces just for me at very reasonable prices, appraised and repaired my jewelry. They have also purchased old jewelry from me and paid the best price in town for my gold and silver. Thanks Diamond Depot! I cannot say enough wonderful things about the folks at Diamond Depot. Terry took my great grandmothers , grandmothers, and moms rings and integrated them into an heirloom wedding ring with an amethyst center stone. It literally takes my breath away. I have had at least 8 items created or repaired by them, the quality is immaculate and the prices are unbelievably fair. These are the nicest people, they deserve your business! I highly recommend Diamond Depot! My fiance bought me an absolutely BEAUTIFUL wedding ring set from them.. I had many problems with the ring, diamonds kept falling out so I didn't get to wear it for about 3 weeks total (not consecutively) but it wasn't their fault about the diamonds; It could have happened to anyone with how my ring is made! Terry & Lisa are so generous and nice! They replaced my missing diamonds for FREE, every repair they did was free and even "tipped" my ring so it wouldn't happen again. They're really great, welcoming people! My fiance & I will NOT go anywhere else!!! We purchased our rings from Diamond Depot last year. They were the nicest store that we visited. They were not pushy at all but they spent much of their time listening and asking questions to try to understand what I was looking for. I found the perfect ring at a great price. My fiance loved the ring and we will never do business anywhere else. We both highly recommend that anyone wanting a beautiful ring to check them out! Wonderful experience this past summer buying an engagement ring for my fiance! Terry, Lisa, and the guys service was second to none in helping me find the perfect ring! If your looking for a place to find that perfect piece of jewelry look no further than Diamond Depot.